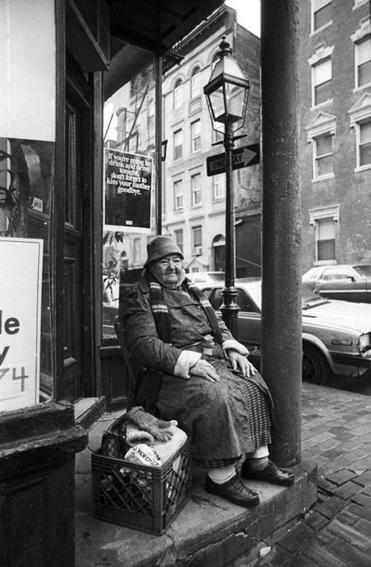 The hundreds of precious photos in “Dirty Old Boston: Four Decades of a City in Transition” (Union Park) might still be tucked away in family photo albums and institutional archives if not for Jim Botticelli. Two years ago the retired teacher and former DJ started the “Dirty Old Boston” Facebook page as a tribute to the city he has called home since the early 1970s. It was an instant hit — and led to a book contract. The images sweep from the 1940s through the 1980s and the demolition of the elevated Orange Line. “Dirty Old Boston” highlights the fashions, hairstyles, frustrations, and fun of the city’s gritty past: getting stuck in traffic on the Central Artery, riding the roller coaster at Paragon Park in Hull, dancing at the Rat in Kenmore Square. Before-and-after pictures of the New York Streets section of the South End, Scollay Square, and the West End, all destroyed in the name of progress, are here. And the dirty water, yes the dirty water. Magazine Beach along the Charles River in Cambridge is packed with sunbathers in a photo from 1944. By the 1950s, swimming was banned for health reasons. There’s Gene Shalit in all his frizzy glory broadcasting “The Today Show” from Quincy Market, the Bruins playing sans helmets, the march against racism in 1974. There are old guys hanging out together and dreamy long-haired young women blowing bubbles in the park. For Botticelli, “Dirty Old Boston,” more than anything, is a term of endearment for the city that grew up with him. Writer, editor, and third-generation Vermonter Robin MacArthur moves beyond postcard-perfect images in “Contemporary Vermont Fiction: An Anthology,” published this month by Brattleboro, Vt.-based Green Writers Press. The child of a farmer and a carpenter, MacArthur grew up with an acute awareness of the class disparities that arose in her home state during the middle of the 20th century. Summer residents bought up houses as farm families struggled to eke out a living. Among the writers in the anthology are Julia Alvarez, who teaches at Middlebury College; Megan Mayhew Bergman, raised in North Carolina and now living on a small farm in Vermont; Joseph Bruchac, who has worked with the state’s Abenaki communities; Howard Frank Mosher, a resident for half a century now; Annie Proulx, who lived in the state for 30 years before moving out West; and the late Wallace Stegner, known as the dean of Western writers, who summered in Greensboro for more than 50 years.